Copper still. Chalkboard drawing of some molecular structure. Dried citrus slices and other botanicals in bottles – quite a beautiful display. And a camera on a tripod. The things you notice when you first arrive at the Six Dogs Distillery, say science on the one hand and art on the other. Of course. As is the case with any other successful artisan product, the passion for both quality and beauty is essential. 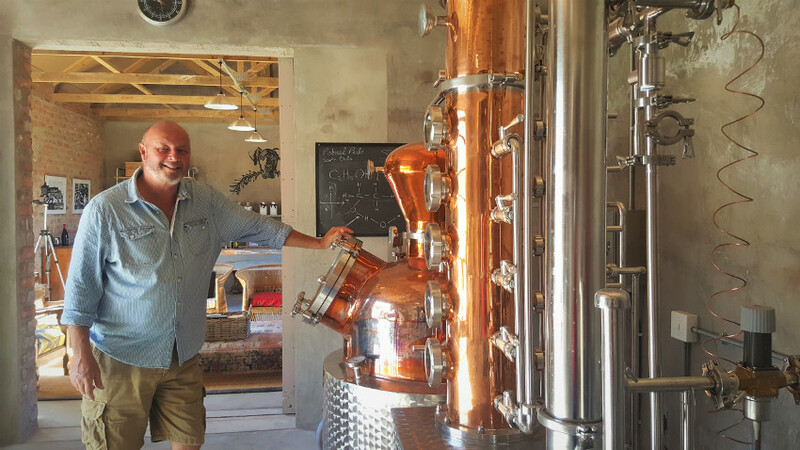 Charles Bryant produces Six Dogs Karoo Gin on a farm just outside Worcester. He had worked in financial markets before meeting his artist wife, Marie-Louise, and moving to a farm in the De Wet area. His brother, Glenn, is full-time marketer and distributor for Six Dogs, and Marie-Louise contributes much of the creative work, bottling and labelling. Charles freely admits that he had failed at wine-making before switching to gin. “Oh, I made a very bad wine.” Then he and Marie-Louise attended a gin-making course, and he started experimenting. Good decision, because craft gins, gin cocktails and gin bars are currently all the rage across the globe. Those in the know say it’s because of the complex layers of flavour; the warmth without the burn. People don’t want to drink alcohol, they want to enjoy a drink they can savour. 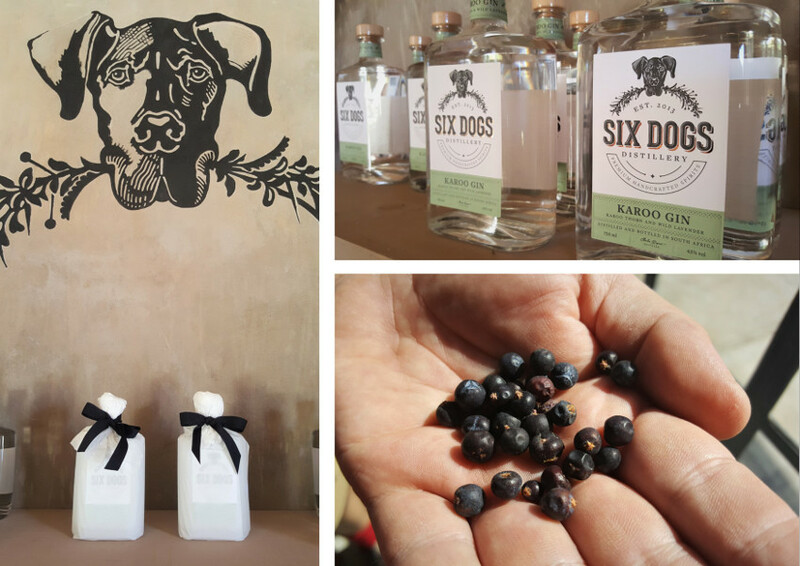 Six Dogs Karoo Gin – from juniper berries from Macedonia. 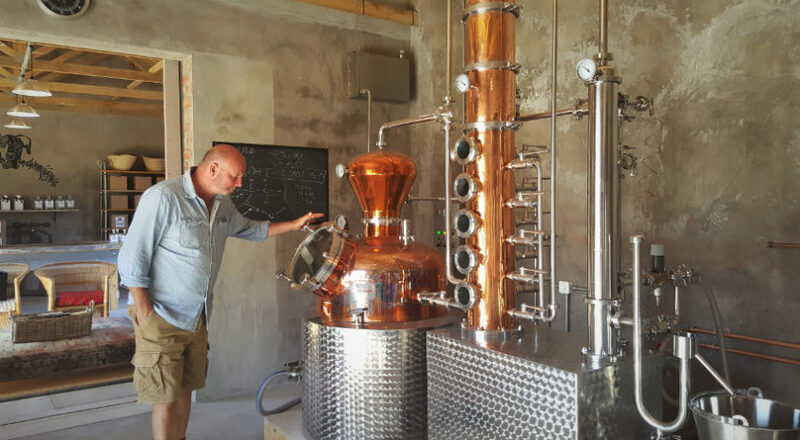 The Bryant trio believes that their biggest marketing challenge lies in getting people to taste their gin. From there, the product with its superior flavour profile sells itself. Although Charles now has four years’ experience at his new hobby, the decision to go into business came only two years ago, and all the licences necessary for distribution only in December 2016. 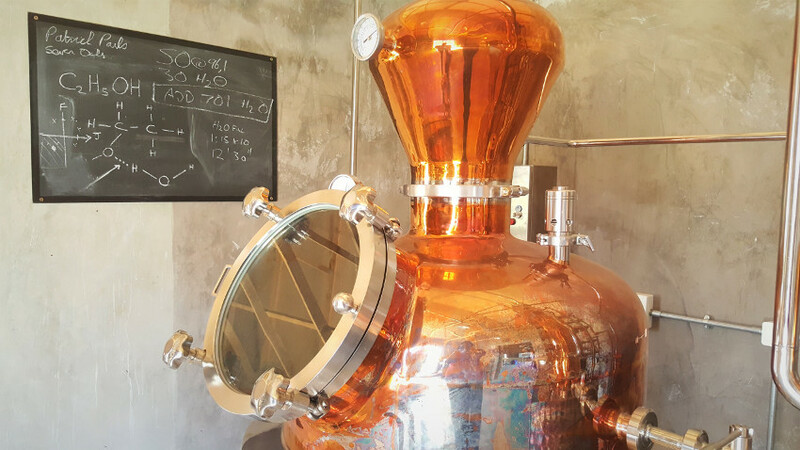 Six Dogs Karoo Gin has since made it onto the shelves of more than 30 outlets across the Cape, and the first export order has been received. Because the taste really is memorable. 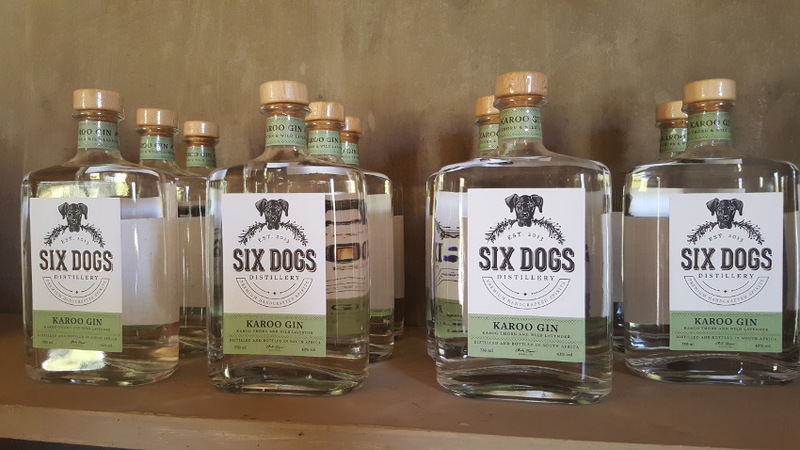 Six Dogs combines traditional London dry gin with Karoo botanicals that are completely new to the world of gin-making. Their juniper berries (the base ingredient which all gins have in common) come from Macedonia. They gather their own wild lavender (known in Afrikaans as asbos), lemon buchu and acacia flower (soetdoring). 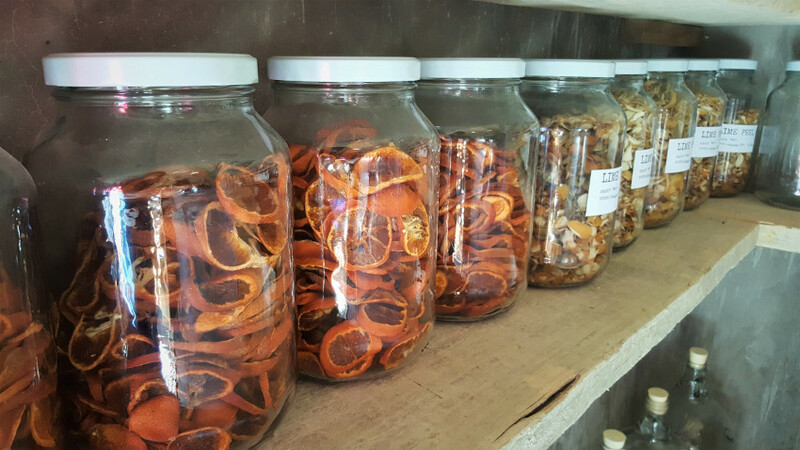 They make sure that the lemon peel and Clemengold slices are dried in season and kept in bottles. Some of the botanicals are distilled in season and kept as liquid concentrate for use throughout the year. The water they use comes directly and untouched from the Keeromberg Mountain. Botanicals are harvested in season and dried for use throughout the year. 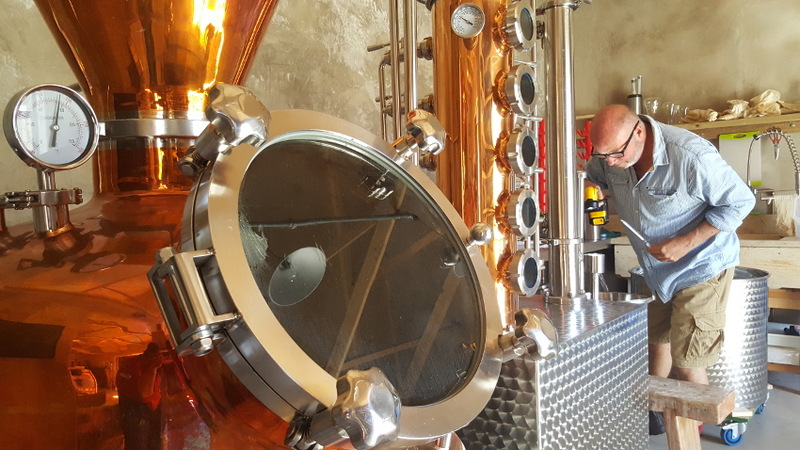 Charles spent two years finding just the right combination of botanicals, ratios and processes, and now spends his days waiting for gin to trickle through the intricate copper still for hours on end. The still itself was custom designed for them, after careful research into the best design elements from around the world. Some flavours, like the juniper, are infused from the get-go where the alcohol and water mix is heated up. Some of the lighter flavours, like the lemon buchu, are added at the top of the distilling columns in the gin basket. 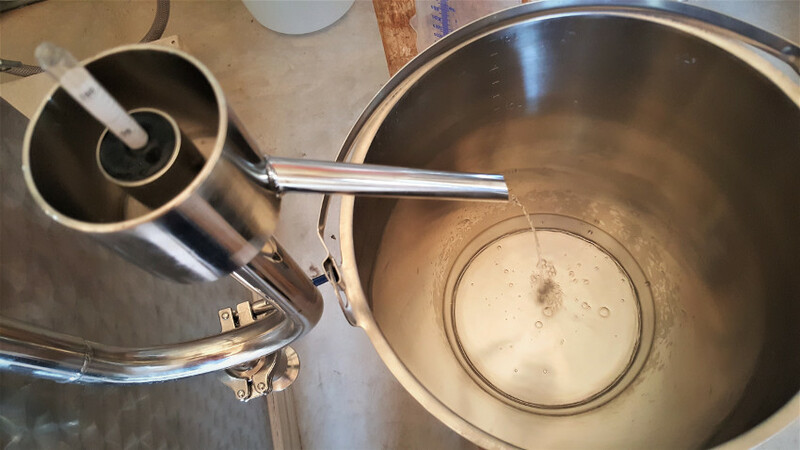 Soetdoring needs a vacuum still, where distilling can be done separately and at room temperature in order to preserve the delicate soetdoring flavour. When Charles presents a tasting, he first presents the gin straight. That’s where you get the flavour profile. He adds the tonic later, and relays the fascinating information that gin (juniper) and tonic (quinine) have similar molecular structures, which is why they blend so well. And there are other ways in which to experiment with gin and add your own twists. Six Dogs can be visited on the farm by appointment. 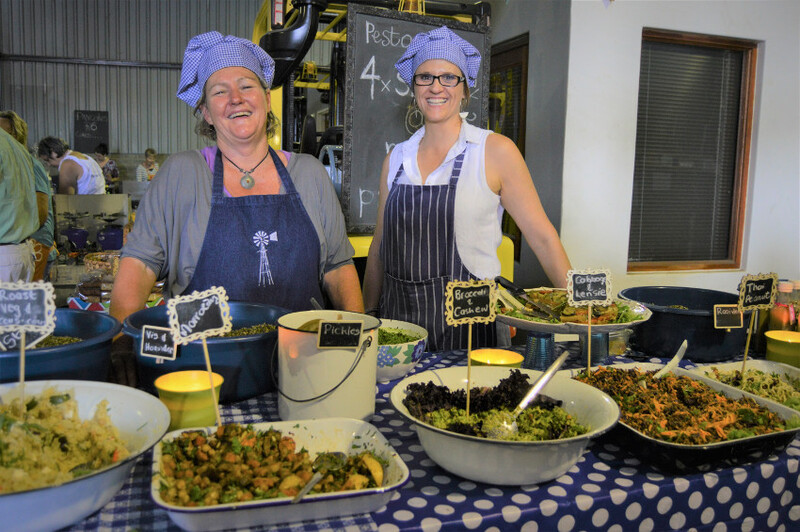 Tastings are also usually done at the Q Square Night Market in Worcester. To visit the Six Dogs website, click here. Charles Bryant in the distillery in De Wet, outside Worcester. 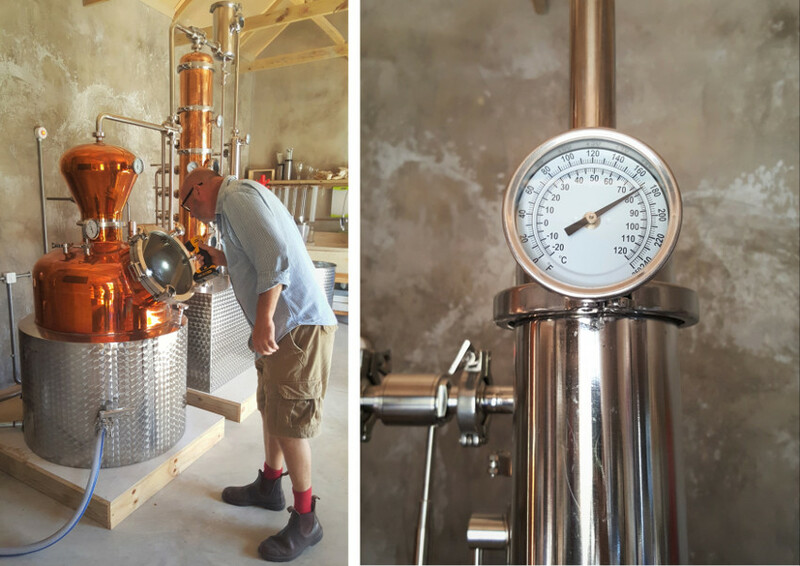 Gin trickles through the copper still. Charles measures the exact alcohol content of the distilled gin. Everything is meticulously monitored and recorded to ensure consistency. Making good gin is both science and an art. Bottled, labelled and ready to go.